Fully 99% of the 85,000 pageviews on this blog in the past two months were of stories about the Sue Neill-Fraser case. In that period, we published 24 new articles on the case (60 articles altogether). Average time spent reading each page was over 3 minutes. Comments on these pages run into the hundreds. Unsurprisingly, the majority of pageviews were generated by readers in Australia, but there were hundreds of readers all over the world, notably the US, the UK, New Zealand, Canada and Japan, as well as readers in (among other places) Brazil, Sweden, Ukraine, Solomon Islands, Hungary, Cambodia and even the Dominican Republic – with 2 readers. In America, the Charles Smith Blog follows the case through our articles and the Sue Neill-Fraser deep archives of Networked Knowledge (published by legal academic Dr Bob Moles) contain references, detailed information and links to all the cases we report. 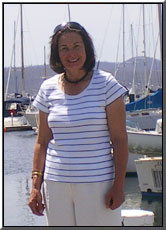 Our first report on the Neill-Fraser case, Another Lindy Chamberlain miscarriage of justice, was published on August 15, 2013 – five days short of the 4th anniversary of her arrest. I spent most of my adult life in Darwin and lived throught the Chamberlain case. The court case was widely reported in the media at the time and as a consequence most Territorians thought she was guilty. After all, who could challenge the forensic evidence of the expert witness Joy Kuhl who said that there was foetal blood in the passenger side footwell of their car? As it turned out it was sound deadener however she was gaoled nonetheless. Once the matinee jacket was found many kilometers away proving her innocence, she was freed within 5 days. This raises the question as to why SNF could not be now released even if only on home detention. As an interstater, what I don’t understand is why there hasn’t been a protest march in Hobart of 10,000 people or more banging on the door of the Governor or Premier to let her out pending hrr appeal? Take a leaf out of socialist Victoria where they get thousands of bloody vegans disrupting the CBD on behalf of a few chooks and sheep. Come on Tassie, have a crack for Sue and organise a march that will not only get national attention, but that of those in power who can right this wrong! Totally agree about a march Keith and I, for one, would be happy to fly down and participate. I allege Tasmania’s Justice system per its Supreme Court and its very department of Justice is often without the use of credible evidence, some cases have strongly biased inculpatory evidence to their forefront and there are a number of cases where exculpatory evidence has been withheld. Also, I recall a case of evidence tampering in a case that was insufficiently investigated yet a decision of guilty had been achieved. I am aware of allegations of the improper use of the former DPP’s powers of discretion, also there is my allegation that a serious criminal case that had been discharged through the aegis of action that had involved a conspiracy. Then there was in times past, an extreme example of the discharge of a serious case that had been the product of a serious police investigation. Hearings through the Tasmanian Supreme Court generally favor the State’s Guardianship Administration Board, as well as Tasmania’s Public Trustees. Why is this so? Was I not to have viewed the case transcripts and at times even the police case reports I would be unable to state my allegations. I do not make my allegations lightly. There should be a mechanism or legal process set into place (to carefully consider a litigious action be enabled, or at least an independent inquiry into the office of both the past and present incumbents of this State’s office of the DPP. Australia has a pathological need to apportion blame when something bad happens so we look for the closest scapegoat and lay the blame at their feet. We allow ourselves to twist the facts to fit our preferred narrative so we can see somebody – anybody – punished. Our police are not just willing accomplices to this perversion, but are often the perpetrators of it. Australia does not have a justice system. It has a system of law, which has nothing to do with justice. Andrew et al, we can only hope that one day, Sue’s experience will be used as a case study in Police Academies, Law Schools and Universities to demonstrate to students just how miscarriages of justice can, and do occur. It is not unusual for students of law, forensics and law enforcement to be altruistic and believe that their professions will always act with absolute integrity and ensure that truth and justice prevail. Wrongdoings and errors may not be common but clearly they can be catastrophic. I distinctly remember reading the scathing comments on the SNF case, (on the page from one of the earlier television documentaries) written by a young law student (whose father is also a lawyer) who was absolutely convinced “Sue is guilty because the lawyers MUST have gotten it right”. This naive unquestioning belief that lawyers and the process could not and would not possibly be in error appalled me at the time, and still disturbs me. To believe in something so unconditionally when there are so many variables in human input, without proper research or reading information from many sources is just putting blinkers on! This unrealistic approach has obvious potentially devastating consequences, and I often wonder whether this young student bothered to follow this case over the last decade. Lawyers, politicians and police must not be trained in believing that their actions, decisions and views are totally infallible, rather they must develop skills and abilities to question, evaluate and listen to the advice of other professionals, instead of blindly adhering to decisions without properly considering whether appropriate checks and balances have been applied. This fundamental need to find the truth, to question, to research and to conduct reviews with honesty and integrity must be taught well before our students embark on their careers, otherwise we are failing our community and its trust in the delivery of “justice”. Well done Andrew! Don’t know how you keep it up, along with your ‘proper job’. Always interesting and relevant. I thought Bob Moles’s report yesterday was terrific. That man never sleeps! Hoping the ‘shame fame’ now raging will force the hand of the Tas Establushment at last. Two more years is TOO LONG o wait for a hearing for Sue. Hah, thanks Robin, somehow THIS has become my proper job … volunteer job, that is. I think once you’ve been touched by these examples of injustice, either as a juror, or by simply following the story, you end up becoming somewhat drawn to other wrongful imprisonment cases. One of the saddest is Graham Stafford, who spend 14 years wrongly imprisoned in Qld. The case has very striking similarities to the SNF case as it was wholly circumstantial. There was a story about a hammer gone missing from its usual place of rest. That magically became the murder weapon in his hands. Stafford had no motivation to murder the child, and was not the type. The victim’s mother was his partner and she never believed Stafford committed the crime. The forensics ended up being proved unreliable – one of the Detectives had been previously disciplined for tainting evidence. Nevertheless, it appears public outrage and media sensation took precedence over facts, and the jury decided to convict. In the end, they didn’t even have the courtesy to acquit him, just a pardon with a promise not to retry him. Stafford was saved by the tireless pro bono work of a retired police officer and lawyers. Mark Lundy, NZ according to the Crown, in two hours and 51 minutes, drove 150km from Petone to Palmerston North through rush-hour traffic, parked 500m from his house, butchered his wife and 7 yo daughter , cleaned up, reset the computer, disposed of the murder weapon, ran back to the car in female disguise and drove the 150km back to Petone without attracting attention from a single speed camera, traffic cop or fellow driver – even though he would have had to hit speeds of at least 160kph to do it. Lots of disagrement between experts over some very questionable forensics about potential brain matter from his wife being on his clothing. All supposition and very hard to believe. Again, no plausible motive, and no evidence in his history of being a murderous type of person. We saw in another thread here someone trying to tell me Gable Tostee was indeed guilty because of a police published audio transcript whom claimed that it contained words which could only be interpreted one way. Wrong! The transcript , which was published pre trial in the media, had errors that resulted in Tostee’s application for bail being refused. The errors were simple laziness by the Police. Once corrected by his legal team, Tostee was given bail. Those errors of course led to a large slice of the population being given a false impression, including this particular reader. Folks just love to gulp down the Kool Aid. I mean, the Police and Judiciary would only ever tell the truth, and not made up stories, right? Whilst the legal system is less than perfect, as it stands, I think it should have done its job if the jurors in these cases were simply more intelligent – more critical, more analytical, more circumspect, more questioning and less accepting of everything that is brought before their eyes, especially by Police who have too many times been proven incompetent in collecting evidence. As a juror, I would certainly be doing a lot of homework myself on the efficacy of forensic procedures, because they are not as definitive as the prosecution makes them out to be. Given jurors are only compensated ~ $100 a day it would be difficult to find someone with the higher order thinking skills you suggest is required for jury duty (and I don’t disagree) who is employed at that figure. It would be an act of altruism to take up jury duty therefore and suffer a loss of income for so doing especially if one could not afford the luxury of altruism.